Add a trip to your local comic shop into your planned Halloween festivities this year. 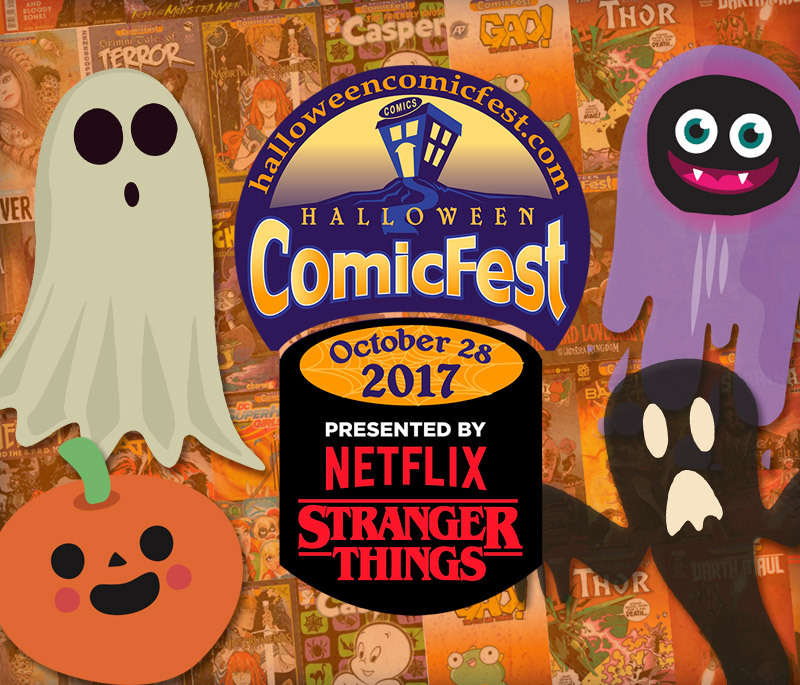 Participating locations will be giving out FREE comic books to trick-or-treaters who stop by for Halloween ComicFest 2017. 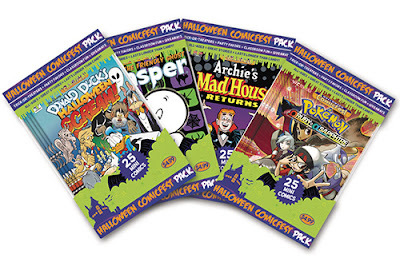 Don't miss out on this spook-tacular comic book promotion! 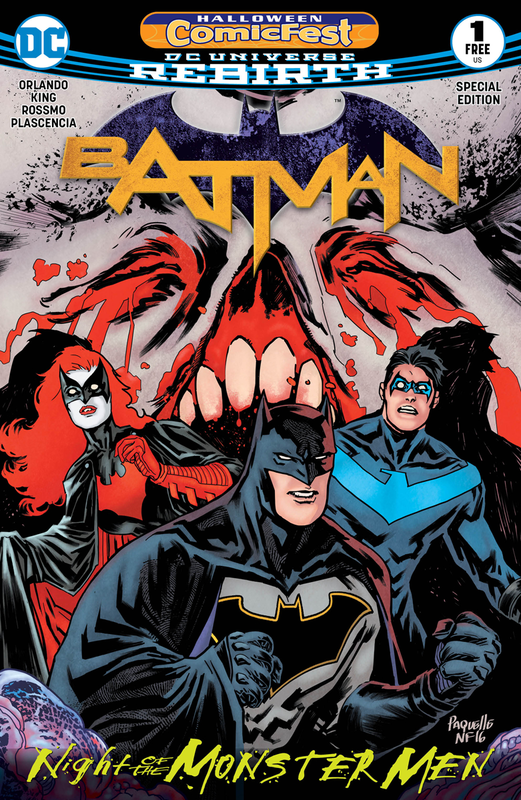 Not every comic book retailer participates so check the event's shop locator to find participating locations. Then call ahead to see what the shop's plans are because some are handing out the freebies on Saturday, September 28 and others are distributing the them actually on Halloween. 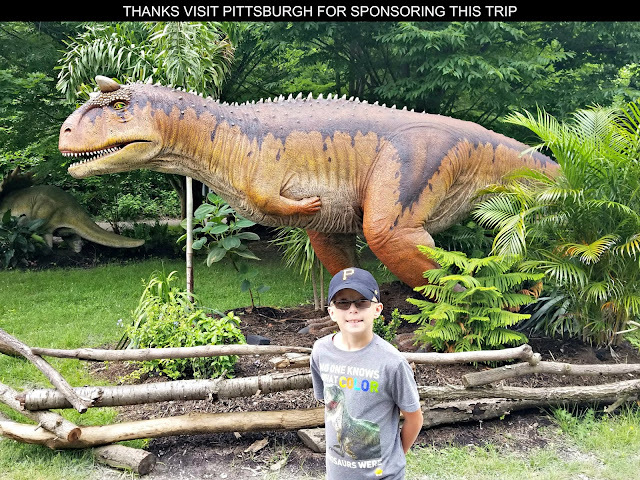 Also rules vary from location to location. 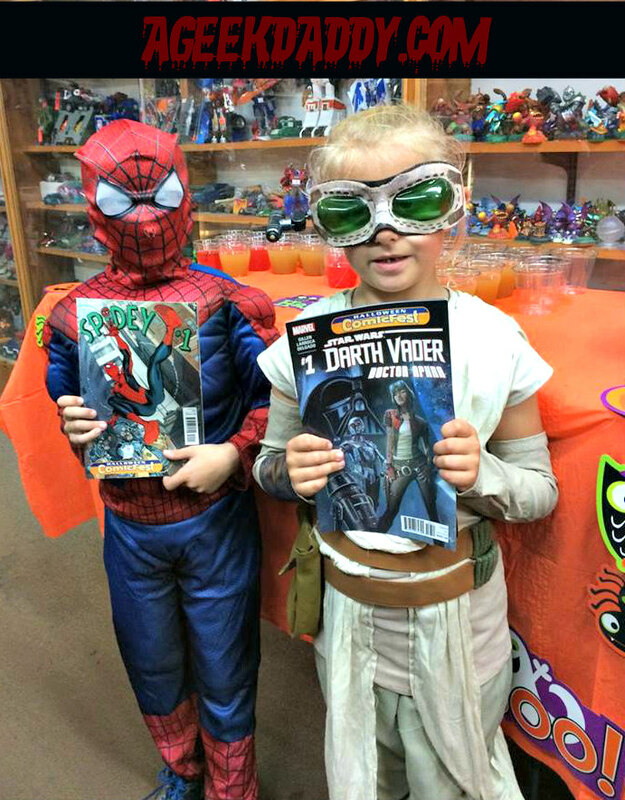 Some spots require costumes to be worn by everyone who wants a free full sized comic while others are only giving out mini-comics to children. One location may allow people who stop by to grab one of each of the Halloween ComicFest selection of comics while another may allow someone to select just one item to take home. This year's Halloween ComicFest giveaways include 18 full sized comic books that are meant to be read by a variety of ages ranging from young kid-friendly to mature for adults only. 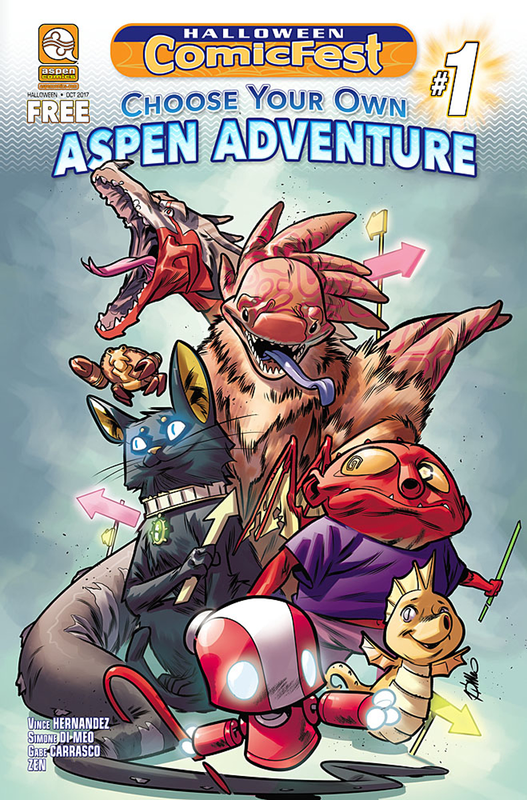 Baby Teeth from Aftershock is one of those titles absolutely not meant for children. It tells the story of a pregnant 16 year old who is giving birth to the Antichrist that will unleash eternal suffering upon all humankind. A horror story for those folks out there who like scary things for Halloween. Archie Comics also has a Sabrina the Teenage Witch issue with content that is more like a horror movie than the silly sitcom that aired on television. Teens will appreciate the Ghostbusters comic book from IDW they are giving away during Halloween ComicFest. 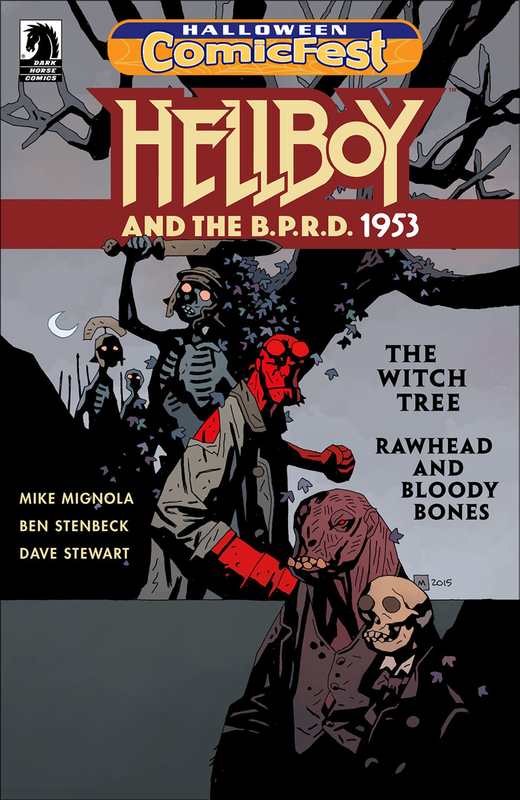 Dark Horse has also provided a Teen rated Hell Boy story that involves two of the most horrible figures from British folklore ... Rawhead Rex and Bloody Bones. 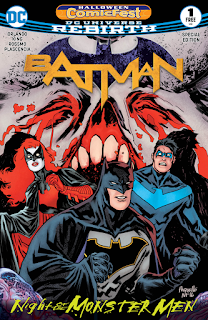 DC also is throwing in Batman: Night of the Monster Men into the mix while with a new Thor movie from Marvel expect to find something featuring the God of Thunder as well when trick or treating at a local comic shop during Halloween ComicFest. 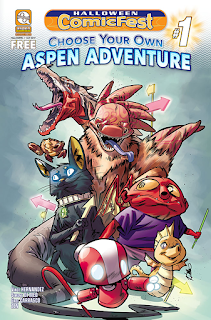 For younger readers, Aspen Comics is providing an all-ages choose your own adventure story featuring some zany animals. 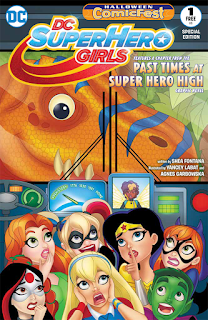 There is also a DC Super Hero Girls comic that little girls will be delighted to read being handed out during Halloween ComicsFest. Children and kids at heart will enjoy the twelve mini-comics that are also being given away during Halloween ComicsFest 2017. These mini-comics feature content that families will love to read but parents won't be afraid of their kids seeing. 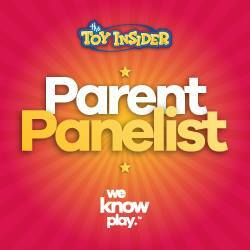 Titles include Archie's Madhouse, Casper the Friendly Ghost, Donald Duck Halloween Scream, Hotel Transylvania, and Pokemon. These mini-comics can also be purchased in 25 packs if you are interested in giving them out at your own doorstep on Halloween. My family makes an effort to join in the Halloween ComicFest fun every year and my kids always enjoyed the treats they bring home with them. Don't miss out on having a terror-fic time yourselves!